Auto Repair Coupons | Brent Allen Automotive Inc.
Get the best service and save some money while you're at it. Mention these coupons to save on some of our most popular auto maintenance and repair services like oil changes and state inspections. Our deals are changing all the time so make sure to use them soon! Check back to keep up with our latest promotions and coupons for Cache Valley’s best auto repair services. A/C Repair For Only $99.95! Be ready for the heat by having air conditioning that functions properly. Brent Allen Automotive offers quality A/C repair for just $99.95. Contact us for details. 60 Point Inspection for just $54.95! Our price is competitive and our service unmatched in Cache Valley. Contact us for details. 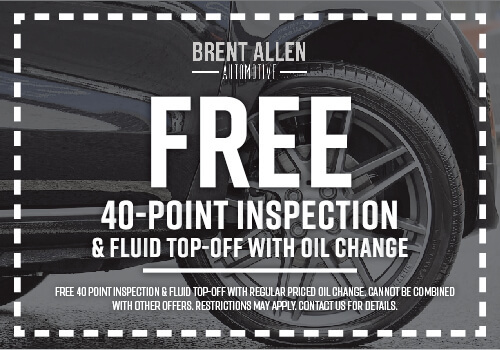 FREE 40-point inspection w/ oil change! 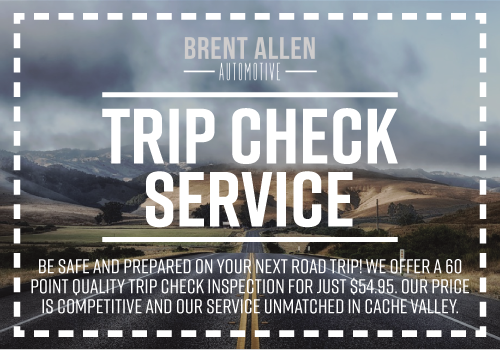 Receive a free 40-point inspection when you purchase a regularly priced oil change from Brent Allen Automotive. Cannot be combined with other offers. Restrictions may apply. Contact us for details. Send a message or give us a call and we’ll be happy to help you out.